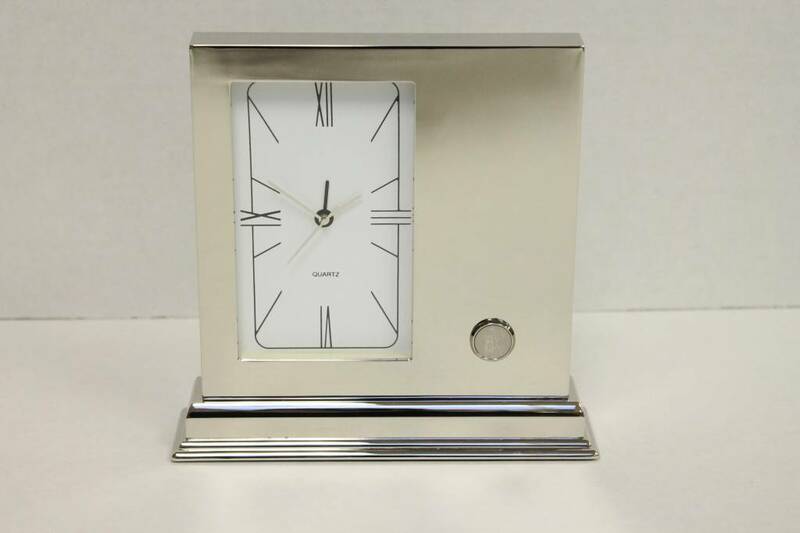 Classic simplicity, quartz metal clock with bright nickel finish. Engraved with Ridley Crest. Gift box.